TWO people have been killed and a woman has been injured after the cars they were in were hit by trains in separate accidents on level crossings in Queensland and New South Wales. 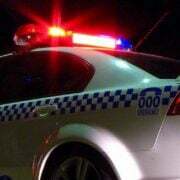 The most recent accident happened in Central West New South Wales about seven o’clock this morning. Police said a Toyota Hilux was struck by a train on Kiatacoo Road at Euabalong, 170km west of Parkes. Sadly the driver – a man believed to be aged in his 40s – could not be saved and died at the scene. Incredibly, his passenger – a woman believed to be aged in her 50s – survived the impact and was taken to Lake Cargellico Hospital with shoulder injuries. Police are still on the scene, investigating the circumstances surrounding the crash. It comes less than 24 hours after a woman was killed in an eerily similar accident in Queensland. A 55-year-old woman died after her car was struck by a train on a level crossing at Fredericksfield, south of Townsville, in Far North Queensland about 10.30am on Thursday. The woman was the only person travelling in the vehicle and died at the scene, police said. Police investigating the fatality are appealing for any witnesses, or for anyone who may have relevant dash-cam footage to come forward and contact them. In particular, investigators want to speak with two men who stopped to help at the scene.